Ai-ling was more adept in business and financial matters compared to politics. 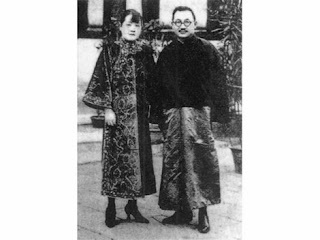 She stayed in Shanghai with her husband, Dr Kung, often keeping a low profile and preferring to be engaged in business matters rather than politics. Together with her husband, they rapidly expanded their businesses throughout China, including Hong Kong. In spite of her wealth, she was a passionate philanthropist who devoted much of her time and energy into social works involving children, orphans, refugees and wounded soldiers. She donated much to the cause of General Chiang’s Nationalist (Kuomintang) army, in terms of financial support, supplies and military equipment. In 1947, shortly after the end of the Second World War, Ai-ling migrated permanently to the United States with her husband, moving all her family’s wealth along with her. She continued playing an active role in supporting General Chiang’s regime by contributing her energy and influence in promoting public relations between the United States and the Republic of China (Taiwan) right up to her death in 1973 in New York. While Ai-ling played a more secretive but undoubtedly significant role in Chinese politics and economy, her two sisters were more open in their political affiliations and struggles for a better China. Standing on two opposite sides of the divide, Ching-ling associated herself with left-wing leaders of the Kuomintang, whom she felt were still faithful to her husband’s (Dr Sun’s) original principles and struggles. It was these left-wing leaders who later came about in establishing the Chinese Communist Party. May-ling, however, stood by her husband’s (General Chiang’s) right-wing Nationalist principles, which in the due course of China’s history won the battle but lost the war. Ching-ling was an ardent campaigner of women’s rights. Taking swipes at China’s traditionally male-chauvinistic society and culture in many of her speeches, she argued that for China to experience a revolution for the better, women had to break out of their traditional roles of merely being “capable mothers and obedient wives” and had to start playing more major roles in politics and society. She argued that gender equality was as important as the equality of classes if China were to see progress. 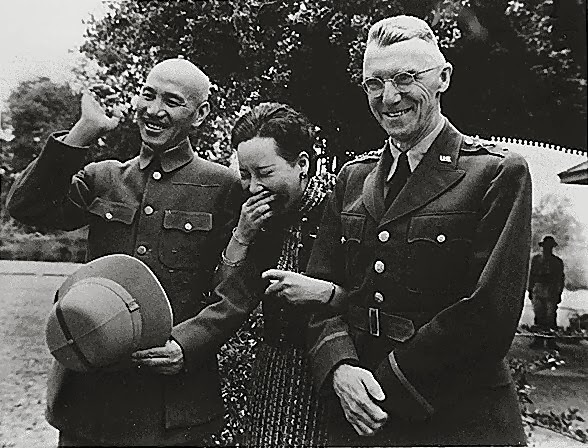 Ching-ling’s close association with the leftists in the Kuomintang meant that when General Chiang launched a brutal purge of the leftists in 1927, she was forced to exile herself to Moscow, then part of the Communist-controlled Soviet Union. She returned briefly in 1929 when Dr Sun’s body was transferred from a temporary site in Beijing to a mausoleum newly-built by the Kuomintang in Nanjing, thereafter leaving again until 1931, when her mother passed away. 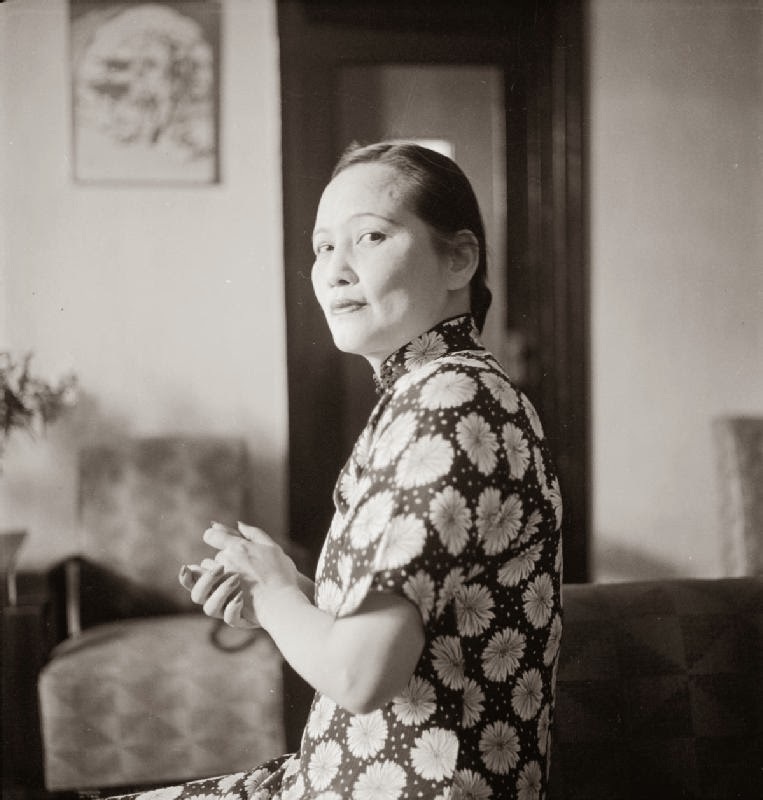 She was responsible for establishing the China Defense League (保卫中国同盟, Băowèi Zhōngguó Tóngméng) in 1939, an organization that primarily functioned to raise funds and acquire supplies for the Chinese Communist armies fighting against both the Japanese and Nationalist armies circa World War II. As the Chinese Civil War raged, Ching-ling broke away permanently from her family and openly supported the Chinese Communist army. Her undivided support and assistance for the Communists meant that her political prominence skyrocketed in the aftermath of the war, in which the Communists emerged victorious and subsequently established the People’s Republic of China in 1949. She held many important positions in the newly-established Communist government, who viewed her as a link between Dr Sun’s ideals and the principles of Chinese communism. 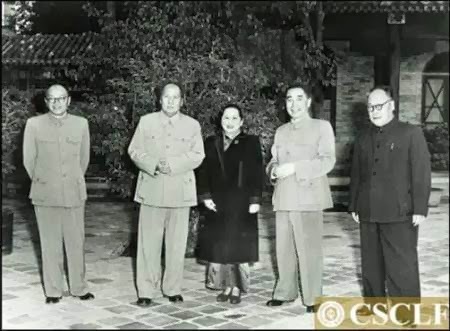 She was made one of the six vice-chairmen of the Central People’s Government Council, and was later elected to become a Vice-Chairperson of the People’s Republic of China, making her perhaps the most powerful woman in the modern history of China. 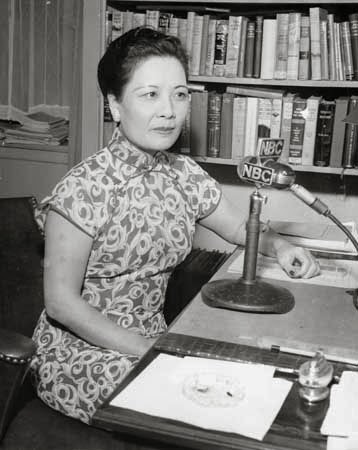 The 10-year Cultural Revolution that lasted from 1966 to 1976 saw Ching-ling being criticized heavily and threatened, so much so that she had to be accorded special protection under Chairman Mao’s approval. 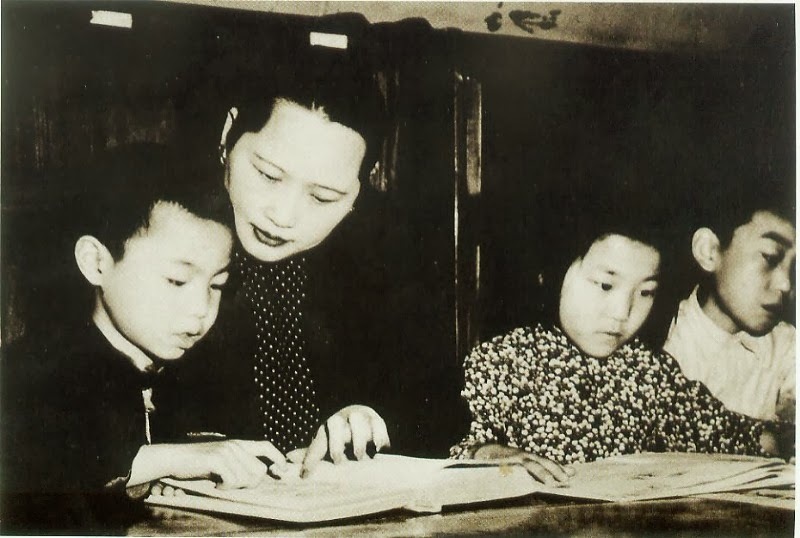 After the Cultural Revolution, she greatly reduced her number of public appearances, although she continued to write actively on women and children’s rights in the press. Shortly before her death in 1981, Ching-ling was made the Honorary President of the People’s Republic of China, the only person to have ever held this title until today. 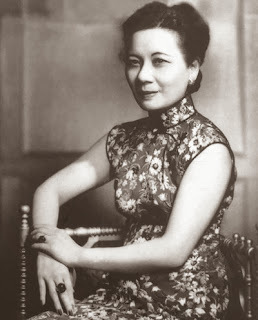 Whereas Ching-ling rose to political stardom in the Communist-controlled People’s Republic of China based in Beijing, May-ling became her direct counterpart in the Nationalist-controlled Republic of China based in Taipei. May-ling took up an active role in setting up schools and running welfare programs for the orphans of fallen Nationalist soldiers, providing them proper homes and education. She was also an active campaigner for foreign funds and support, both for the sake of her welfare programs and the Nationalist army as a whole. 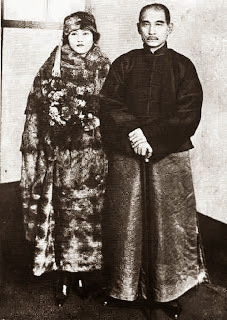 May-ling’s campaigns brought her all over the world with her husband, General Chiang, especially to the United States. Her eloquence and fluency in the English language made her just the right person to play the role of interpreter and sometimes mouthpiece for General Chiang. Her rallies in the United States frequently drew large crowds, and she was a highly popular figure who succeeded in raising much awareness in the Western world for the Nationalists’ cause. In every way, the Americans viewed her as the embodiment of a democratic China they hoped to see. 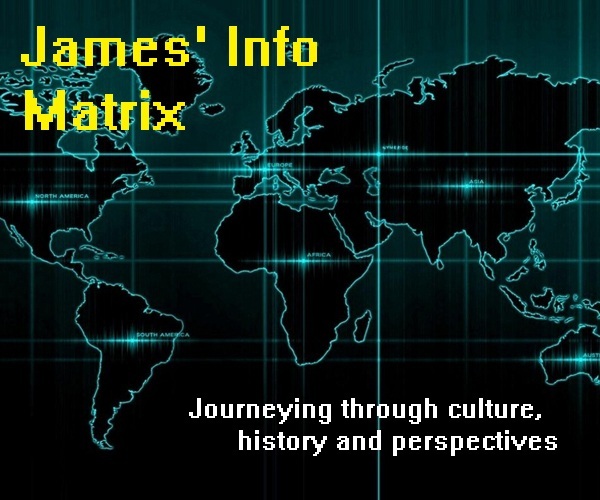 Despite all international support for the Nationalists, rampant corruption and the loss of popular support for the Nationalists back home ultimately resulted in the defeat of the Nationalist army in the Chinese Civil War and the consequent collapse of General Chiang’s regime. When General Chiang moved his regime to Taiwan and established the Republic of China on the island in 1949, May-ling continued to be an iconic figure for both the Nationalists and the Western world, holding various positions in internationally recognized organizations. 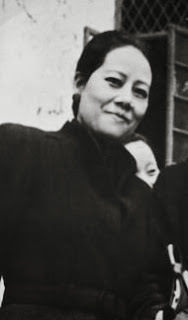 May-ling held no official positions in the Republic of China’s government, but her political influence remained strong right up to the death of her husband in 1975. 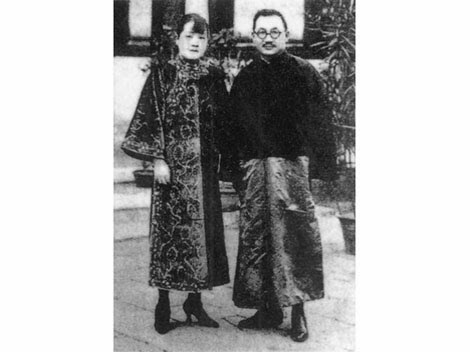 Her relationship with Chiang Ching-kuo (蒋经国, Jiăng Jīngguó) (1910 – 1988), General Chiang’s son from an earlier marriage, proved to be rocky, and when he succeeded power after his father’s death in 1975, May-ling emigrated to New York. She returned to Taiwan after Ching-kuo’s death in 1988, at a time when a successor to the Kuomintang’s presidency was to be elected. As the widow of General Chiang and perhaps the most senior surviving figure of the Kuomintang at that time, May-ling’s political influence and support remained very strong even after her long absence from Taiwan. May-ling’s initial intention was to spend the rest of her life in Taiwan, but mounting controversy against her and the rapidly changing local political landscape forced her to make a heavy decision to return to New York. Criticisms and verbal attacks mounted against her with regards to her husband’s past dictatorial rule and her personal influence in Taiwanese politics were increasing across the mass media. Additionally, although she was on good terms with President Lee Teng-hui (李登辉, Lĭ Dēnghuī) who succeeded the Kuomintang and Taiwanese presidency, her disliking for his “Taiwanization” policies ultimately pushed her to make the decision to leave. Such “Taiwanization” policies include, among others, favouring native Taiwanese over mainland-born Chinese in key governmental positions and defining a set of Taiwanese customs and culture that is separate from mainstream Chinese culture. May-ling’s return to the United States in 1991 marked the end of the Chiang family’s influence in Taiwanese politics. 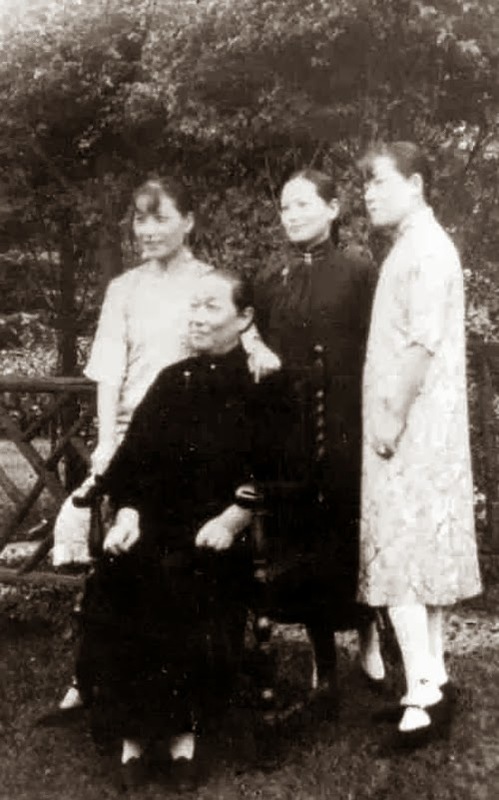 In the years that followed, many legacies of the Chiang family were dismantled, criticisms against the Chiang family’s past rule and May-ling’s political influence were increased, and idolization of General Chiang was severely discouraged. Ironically, it was at that time as well when the Chiang family’s role in shaping modern China was actively preserved and re-appreciated by the Communist government in Beijing. 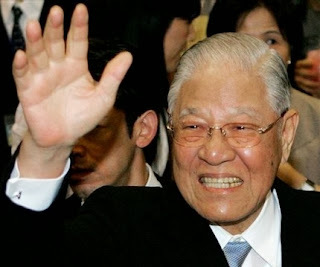 This was probably due to the fact that the Chiang family, including May-ling herself, strongly opposed any movement to seek independence for Taiwan, as opposed to President Lee Teng-hui’s policies that favoured a Republic of China (Taiwan) independent of Beijing’s control. 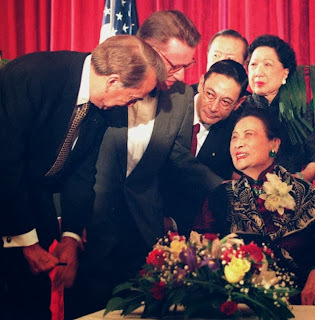 In 1994, May-ling made what would be her last visit to Taiwan. Even at the age of 97, she became a huge subject of controversy, and her visit did nothing to improve that. In the following year, a reception held by the U.S. Congress in her honour to mark the 50th anniversary of the end of the Second World War served to further fuel controversy and strain Washington’s ties with both Beijing and Taipei, at a time when issues such as Taiwan’s independence and Beijing’s abuse of human rights were becoming more heightened. May-ling passed away in 2003 at the ripe old age of 105, her life having extended into three centuries, being the longest and, unsurprisingly, most controversial among the three sisters. “One loved money, one loved power, and one loved the country” (一个爱钱，一个爱权，一个爱国, yīgè ài qián, yīgè ài quán, yīgè ài guó). Such is the saying by Chairman Mao that refers to Ai-ling, May-ling and Ching-ling, in that order. Adept in business over politics, Ai-ling is dubbed the one who loved money. Being highly influential in both China and abroad, and having been mired in insurmountable controversies in much of her later life, May-ling is dubbed the one who loved power. Being highly supportive of the Chinese Communist regime and its struggles, and wielding much influence in it, Ching-ling is dubbed the one who loved the country i.e. the People’s Republic of China. Had the saying come from General Chiang instead, might it apply to Ai-ling, Ching-ling and May-ling, in that exact order, instead? Two thing’s for sure. Firstly, while Ai-ling preferred her businesses over dabbling in politics, both Ching-ling and May-ling were direct counterparts to each other, separated by the Taiwan Straits and a deep political chasm between the Nationalists and Communists. And secondly, if ever there was a woman (or women) who could match Empress Wu Zetian (武则天, Wŭ Zétiān) (624 – 705) in political might and bureaucratic influence throughout China’s long history, she (or they) would undoubtedly be of the Soong Sisters.